Reports from Akwa Ibom state have highlighted the commencement of the procurement process for work at Ibom Deep Seaport, the 1st in Biafra land. The procurement process for the commencement of work at Ibom Deep Seaport, AkwaIbom State, has begun. 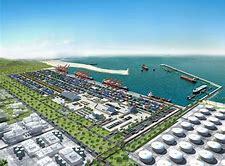 The process requires private sector players signifying interest in financing the development of the port. According to a statement by the promoters of port, transhipment container market for the IDSP is estimated to grow from about 1.2 million (Ten Equavelent Units) TEUs in 2021 to about four million TEUs in 2040 and when the port is fully developed, the container terminals will be able to accommodate up to 13 New Panamax Class container vessels and two very large feeder vessels. The Ibom Deep Seaport is strategically located on a 2,565 hectares Greenfield port area which is designed for New Panamax, Class vessels with channel (18.24m); turning basin and berth depth (16.72m) and quay length of about 7.5 km. The project is said to be in an enviable position to emerge as the first major transhipment hub for the region.